The letter was short and to the point. The writer said what he had to say to the grieving mother, who had apparently lost five sons in the Civil War, and then he signed off with very little flair. "Yours, very sincerely and respectfully," he wrote. "A. Lincoln." But the note, from President Abraham Lincoln to Lydia Bixby of Boston on Nov. 21, 1864, soon became both a national sensation and a mystery. As quickly as it swept the country - reprinted in newspapers, copied, and sold as souvenirs - the original letter disappeared, spawning a mystery that has straddled more than a century. What happened, people asked, to the famed Bixby Letter? Now, in Dallas, almost exactly 144 years later, researchers hope they have an answer. Alan Olson, curator of the Dallas Historical Society, stumbled across a handwritten copy of the letter in the society's voluminous files over the summer. More research is necessary, Olson said, to determine if the letter is the long lost original - and worth millions. Both he and other Lincoln scholars are skeptical. But the letter, original or not, has dredged up once again the remarkable story of how one letter written by a wartime president to a poor Boston woman looms large in the legacy of Lincoln. "He was a president who was clearly moved by people - emotionally moved by people and events," said Thomas O'Connor, a professor at Boston College and Civil War scholar. "There were many occasions when he felt things very deeply and he grieved." 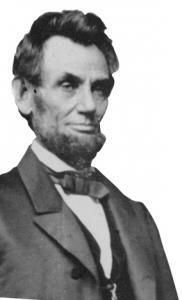 Lincoln penned the letter, scholars say, at the request of a Massachusetts official who had heard of Bixby's plight. According to the Boston Evening Transcript, which printed the text of the letter on Nov. 25, 1864, Bixby's losses had "excited much sympathy" in town, and Lincoln's letter was well received. As the paper described it at the time, "her lonely abode was made cheerful" by Lincoln's words. "I feel how weak and fruitless must be any word of mine which should attempt to beguile you from the grief of a loss so overwhelming," the letter said. "But I cannot refrain from tendering you the consolation that may be found in the thanks of the republic they died to save. I pray that our Heavenly Father may assuage the anguish of your bereavement, and leave you only the cherished memory of the loved and lost, and the solemn pride that must be yours to have laid so costly a sacrifice upon the altar of freedom." The letter was soon reprinted in other newspapers, adding to the legend of Lydia Bixby. But, in part, the story was just that: a legend. Bixby, 61 at the time, lost only two of her five sons in the war, said James Cornelius, curator of the Lincoln collection at the Abraham Lincoln Presidential Library and Museum in Springfield, Ill. The third, he said, was a prisoner of war; the fourth a deserter; and the fifth appeared to have been discharged from the military, his fate unknown. Also unclear is just how much Bixby welcomed the letter. Not only was she illiterate, Cornelius said, but she is believed to have been a Confederate sympathizer, or at least not a fan of Lincoln, who had been narrowly reelected just two weeks before he wrote the letter. And then there were questions about who really wrote it. "There's always been discussion," said Nina Silber, a history professor at Boston University and a Civil War scholar. "Did Lincoln actually write the letter or did John Hay, one of his presidential secretaries - did he write the letter? Everybody seems to say something different." Still, despite all this, the letter resonated with a war-weary America. In the 1890s, Cornelius said, New York junk dealers were printing up copies of the letter and selling them as souvenirs. In the 1920s, newspapers wrote lengthy stories about Bixby. The mystery of what happened to the original spawned forgery after forgery. The letter made it into the script of the 1998 film "Saving Private Ryan." Along the way, scholars cherished the note for the way Lincoln turned prose into poetry. "The Civil War, of course, was the bloodiest episode in American history," Olson said. "You had brother fighting brother. And this letter was, and is, considered to be one of the finest pieces of presidential prose." That's why when Olson saw it in a random file in the Dallas archives, he stopped what he was doing and set out to determine whether he had found the original letter. Research so far has determined that the letter appears to be written on paper, and with ink, from the Civil War era, Olson said, but the handwriting does not belong to Lincoln. Whether it belongs to Hay, or someone else, is still unknown. But scholars, and even Olson, are betting that the Dallas letter is not Hay's work, or anyone else's affiliated with Lincoln. Most likely, Cornelius said, it's just another copy. He sees them all the time. People are always sure they have the original Bixby Letter, Cornelius said. And sadly, for everyone, they're wrong. Keith O'Brien can be reached at kobrien@globe.com.